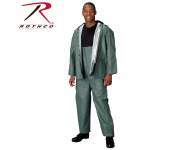 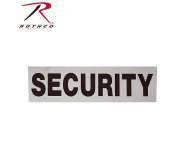 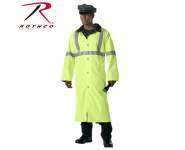 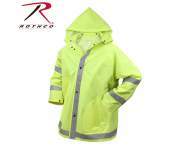 Rothco's Hi-Vis Two Piece Rain Suit With Reflective TapeSide Vents With Snaps For Duty Rig Access. 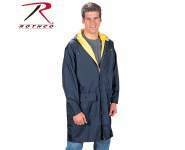 Heavy Duty Black Oxford Nylon With Polyurethane Coating Sealed Seams,1 1/2" Reflective Tape On Sleeves And Legs,Badge Tabs & Microphone Holder,Ventilated Back, Zipper Front With Hook & Loop Storm Flap, Elastic Waist Band. 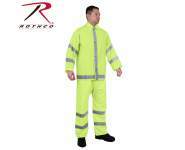 Rothco's Hi-Vis Two Piece Rain Suit With Reflective TapeSide Vents With Snaps For Duty Rig Access. 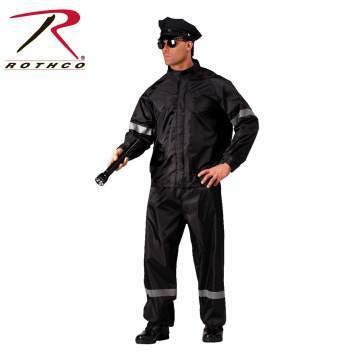 Heavy Duty Black Oxford Nylon With Polyurethane Coating Sealed Seams,1 1/2" Reflective Tape On Sleeves And Legs,Badge Tabs & Microphone Holder,Ventilated Back, Zipper Front With Hook & Loop Storm Flap, Elastic Waist Band.WARNING: This product contains a chemical known to the State of California to cause cancer, birth defects and other reproductive harm.